You are absolutely fabulous. . .thanks! I want to extend my sincere thanks for the service you provided ORConsulting during our visit to the Biltmore Estate last weekend. Your drivers were polite, punctual and knowledgeable and the vehicles were in impeccable condition. Thank you again for the excellent service. Thank you very much for all your help and the wonderful service. Everything went so smoothly – I’m very impressed with your company. Thanks! Dear Blue Ridge Limousine, I just wanted to thank you for the wonderful limo ride after my wedding on May 17th. The driver was great and very accommodating. Our wedding party had a great time and really enjoyed having a moment together before the ‘after party’. Thank you again for the great price and being so easy to work with. Wanted to thank you again for all your help in coordinating the shuttling of our group from point A to point B (and back again). It worked out perfectly, you could not have been more accommodating. Another component to our successful trip, literally from the moment they arrived to the time they departed. Your service was fantastic! Great communications, clean car and professional driver. I’ll highly recommend you to any who ask. Thank you for a wonderful job as always with the Akers-Lynch wedding! My husband really enjoyed speaking with you! I recently made an emergency trip to AVL to attend an ill family member, and was astounded that you have recommended a single, incompetent supplier of ground transportation services. After many failed attempts to reach your recommended car service, I was forced to contact the Asheville Chamber of commerce who, fortunately, connected me with an exceptional local car service firm, Blue Ridge Limousine, hours before my departure. I am writing to suggest that you consider incorporating Blue Ridge Limousine into your recommended vendor list. I can confidently recommend the Blue Ridge service as a professional and affordable supplier. I want to thank you for giving our group such excellent service for our event here in Asheville this week. I heard of no complaints, and it seems that everything went very well. I really appreciate you working with our group. Getting married? We LOVE weddings!! With almost 800 wedding bookings under our belt, we are the preferred vendor for many of the area venues. Whether you’re having a huge elaborate wedding or a small intimate one, we can accommodate either. 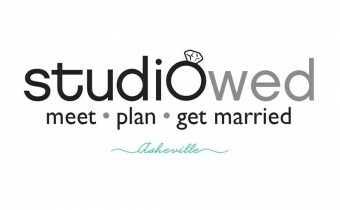 We are also a proud member of Studiowed.